In Celebration of Women’s History Month “Greek American Woman of the Year” Award Gala. 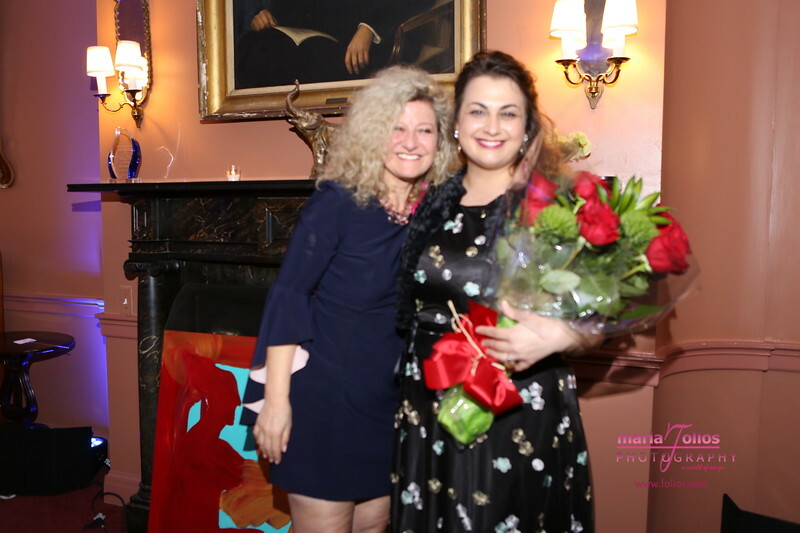 Mrs. Ioanna Antzoulis-Giannopoulos Director of Operations Cosmos FM New York 91.5 Hellenic Public Radio was presented with the Greek American Woman of the Year Award for her outstanding achievements and contributions to the community and the Hellenic diaspora. Ambassador Dr. Vasilios Philippou, High Commissioner, Consul General of the Republic of Cyprus in New York, was presented with a Distinguished Public Service Award. Keynote Speaker: Dr. Stella Latoussakis Lymberis. AGAPW’s Excellence Tuition Scholarships were awarded in Honor of Mrs. Ioanna Giannopoulou to Nikoletta Toffoloni, Katerina Toffoloni, and Evagelia Maria Douros Toffoloni Master of Ceremonies Mrs. Sylvia Papapostolou-Kienzl. Soprano Sofia Antonakos performed popular arias rendered by Maria Callas during her iconic career, accompanied by pianist-conductor Pavlos Kordis. Musical program curated by Nektarios S. Antoniou. Thank you to the Scholarship Committees. Committee Chairs: Dr. Aphroditi Navab and Dr. Pannie Trifillis.